We live in a really great location: small town in a neighborhood that feels like we're in the country, but close enough to a couple of different cities that we can easily make a day or weekend trip of it. 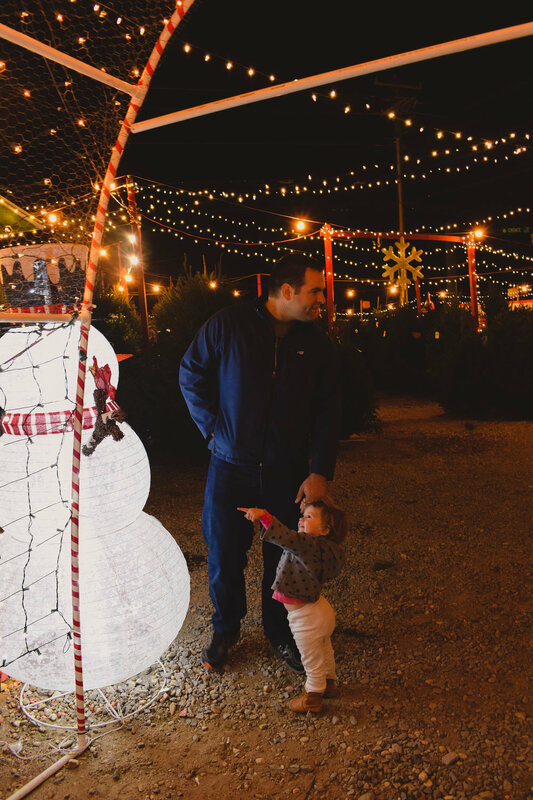 So, a couple weeks ago, we decided to check out a few of Charlotte's Christmas activities. It was pretty great, so I thought I'd share a few pictures and recommendations if you're ever in the area this time of year. The first thing we checked out was a German-style open-air market in Uptown. It was much smaller than I was expecting, but this was its first year, so hopefully it'll only grow. And, it was very cool! We definitely will check it out again. The Billy Graham Library does Christmas really well. 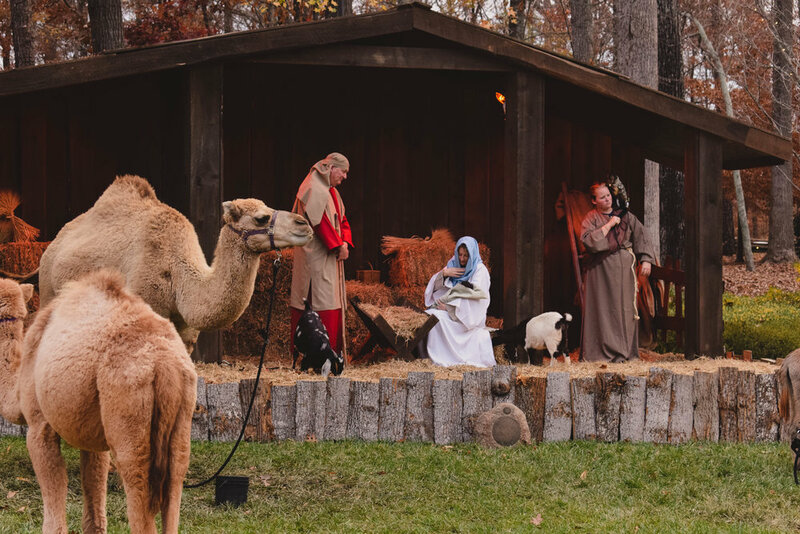 From a live nativity to horse-drawn carriage rides, beautiful decorations and tasty, seasonal treats, it was awesome! I do recommend not putting off the carriage ride if that's something you want to do. We thought that would be most fun after dark with all the beautiful lights, but the wait in the line was well over an hour by that time. So we skipped it, but we really loved our visit, and Afton was infatuated by the animals in the nativity. There was even a shepherd with a real pet monkey! Our final stop was at Snowflake Village for our Christmas tree. This spot was recommended to us because a percentage of every sale goes to local charities, and I'm glad we followed that piece of advice. Snowflake Village is very cute; they have tons of trees; Santa pays regular visits (though we missed out on that by going on a Sunday evening); they have wreaths and garlands in addition to their trees, and every costumer is given a complimentary cup of hot chocolate! This was our first year having a Christmas tree since Afton was born last Spring, and she is enthralled by it. She is always referring to "Atton's twee." Apparently there are a number of things in Uptown Charlotte that we missed and will have to check out next year like a choir of singing bears and a botanical garden full of lights and beautiful seasonal decor and a gingerbread competition at the Ballantyne Resort and probably a number of other things. If you're in or near Charlotte, what do you recommend for our next weekend in the city? And, if you're far from Charlotte, what are some fun festivities your town offers this time of year?